Both my boys are Ben10 mad – they both had to have their own Omnitrix & the little one (3 next month) will smack his wrist & change into whatever he fancies if I need him to hurry up! Big one (5) has all the toys, pjs, slippers, most of the dvds & even the Wii and DS games – obsessed much! Well, my eldest ‘little one’ has a few DVD’s and watches it at every opportunity on TV. I think he has exhausted all the TV episodes now and can quite happily give you the run down on what will happen in each of them within a few seconds of them starting. My little nephew loves to play his Ben 10 toys – in fact I think I enjoy playing with them equally as much! my son is ben 10 bonkers ! he has the outfit , two ben 10 armatrix’s and also a homemade one (loo roll and green paint). he is so smart and has invented new ben 10 creatures. Michael would love to win because he has a ben 10 bedding, carpet, posters and toys but doesn’t have this DVD yet he doesn’t know what to do without it and would be over the moon for his collection to be upto date. My Nephew is Ben 10 crazy. Most of his Christmas gifts were Ben 10, but I got him something else and he was’t happy with me. He hasn’t got this DVD, so I would love to win to get back in his good books. My newphew is Ben 10 mad, he has a costume which he wouldn’t take off christmas day as he ran around the house on his ben 10 scooter which had all his ben 10 figures in it. All day he told me which figures did what and who they were as he went whizzy past me on his scooter, i said i liked Swampfire, as he looked pretty cool and he replied no he’s not he uses fire so he can’t be cool and then proceeded to try and kill me with a fake fireball!! Maybe if i won he wouldn’t want to shoot fireball at his lovely Auntie anymore haha. My son Aaron has recently discovered Ben 10 and is now one of his biggest fans. He received the watch for Christmas and I have even found him asleep still wearing it! He has told me that he wants a Ben 10 themed Birthday party this year and has insisted that I make him “a cake with Ben, Gwen and Max on it” . I need to do some research!!! My son loves Ben 10 and pretends to be him all the time, which can be fun. I usually have no idea what hes talking about! My 2 nephews are Ben 10 obsessed. For them Ben 10 needs to be on TV 24/7, still they won’t get enough of it. If it isn’t on TV they throw lil tantrums and want it on the laptop/ computer. My little cute nephew is always pretending to be Ben 10. I’ve watched near enough most of the episodes with them so many times now, don’t think they will ever get enough of Ben 10! One question they always ask can we be an alien like Ben 10 to? 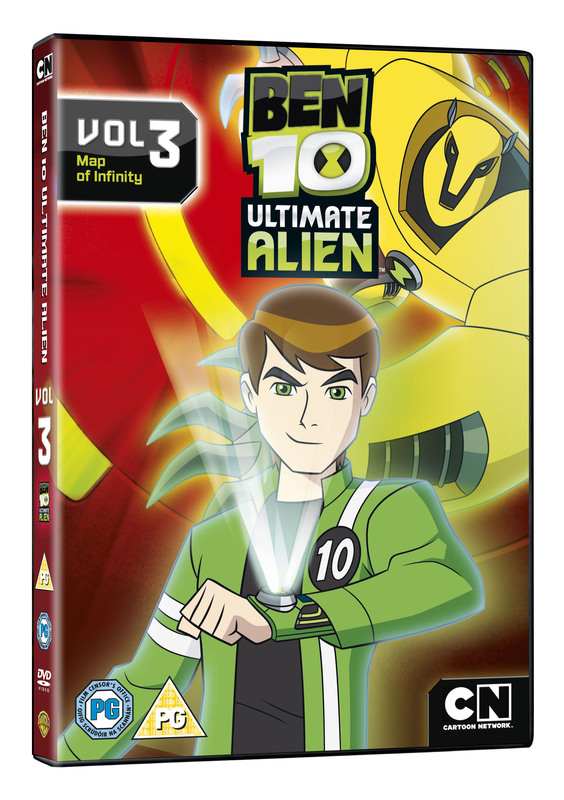 We want Ben 10’s Ultimatrix! My nephew charges around the house saying You know, “if I built the Omnitrix, I would’ve made a few improvements. Like making it work!” and “Huh? You are a piece of junk!” It took me awhile to realize he was pretending to be Ben 10. lol Now I have to pretend I am going to defeat him and revile his identity. “who’s the hero?” I am.